The system is certified by Lloyds of London to satisfy the following Standards: EN12079—ASME—ADR—RID—IMDG-5—IMO-7—CSC—ISO—DNV2.7-1—GOST. Technology Srl has a specific range of cryogenic gas tanks installed in offshore 10ft frame having the dimension of an ISO container. 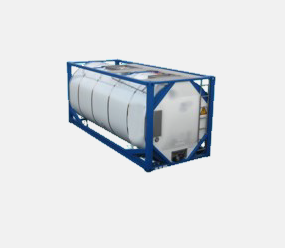 All our Cryogenic ISO tanks are intended for repeated use to, from and between offshore installations and ships, and are fully suitable to offshore lifting and rigging All our 10ft tanks are designed to be shipped locked together in pairs, to meet the requirements for shipping as a 20 ft ISO unit.